This blog consists of information for startups and entrepreneurs. Herein we’ve curated top four features by YourMechanic (the Uber of car maintenance), which you can’t-miss to afford during Uber for mechanics app development. For the past few years, there is a phrase “Uber for X”, which has been demanding among startups. Every startup is trying to replicate the Uber-like business model. As the “Uber” craze does not seem like fading away, on the other hand, there is an “on-demand”, which makes things easier for us. Whether it is hiring a taxi via Uber, taxi booking app, or consult with doctors virtually via Doctor on Demand app, on-demand has become the standard. If we are talking about the Uber for X and on-demand business models, then we can’t forget Uber for mechanics, allowing app users to hire on-demand car mechanics in a fraction of minutes. Well, there is an app like Uber mechanic, YourMechanic, it is a San Francisco Bay area-based startup company, which is quite popular for its Uber-like business model and known as “the Uber of car maintenance”. The company aims to streamline the process of getting the car fixed. 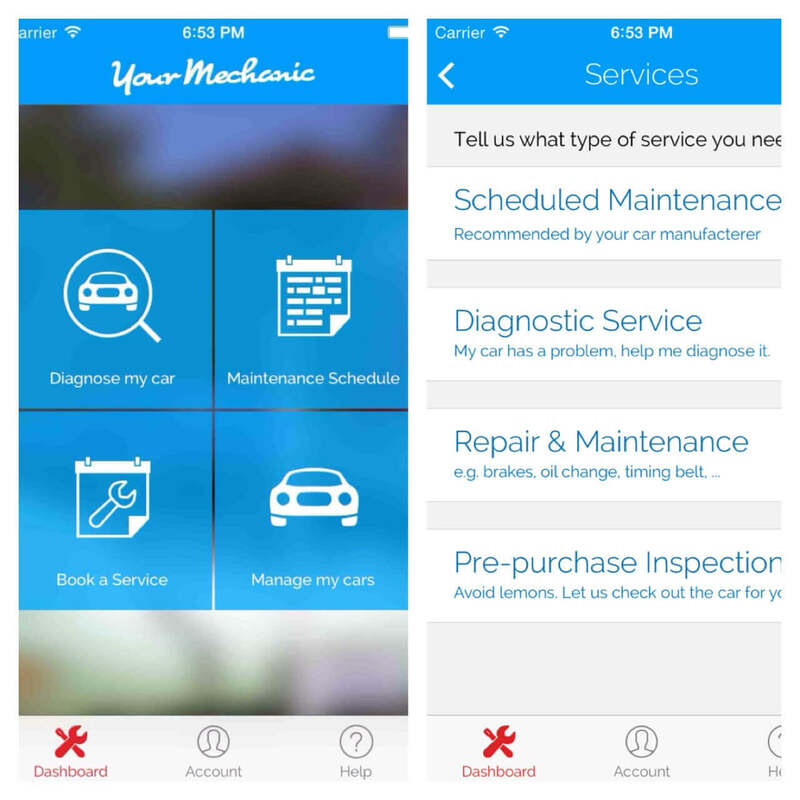 Founded in 2012, YourMechanic, car mechanic app, is an online marketplace, which enables vehicle owners in terms of app users to find local mechanics for home or office car repair services. Moreover, the company has already disrupted the auto repair industry. The company aims to make car repair and maintenance affordable and convenient. 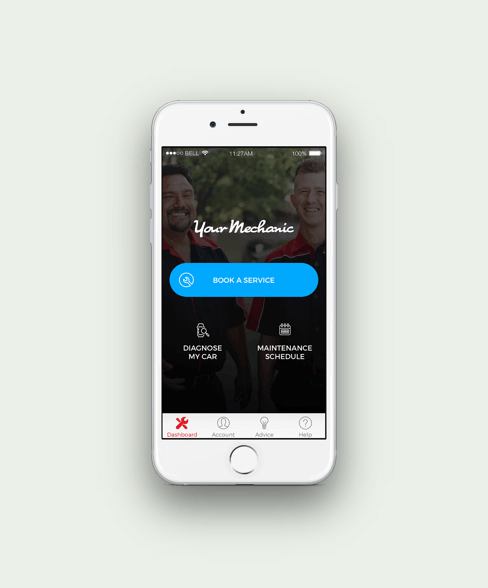 The YourMechanic app has become the auto repair industry leader in mobile car repair and offered over 600 repair maintenance and diagnostic services. 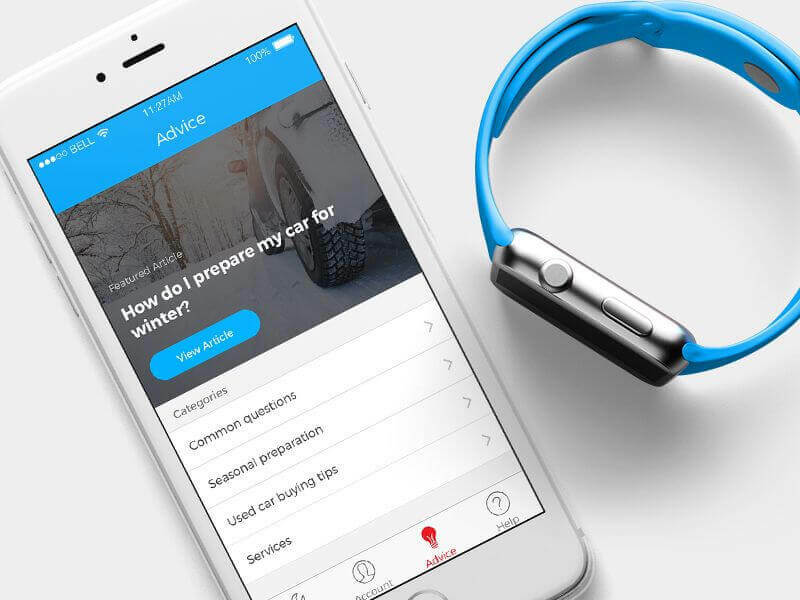 With total funding amount of $28M, YourMechanic app has secured #24M in Series B round of funding, led by Data Point Capital. 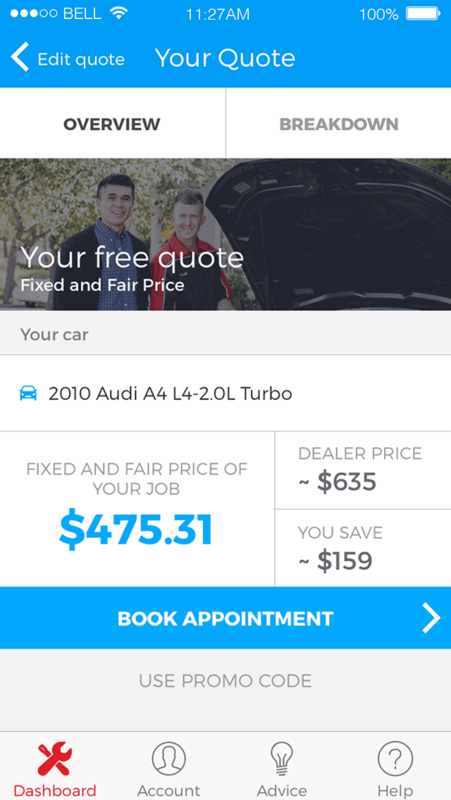 Six years ago, the app like Uber for mechanics, the YourMechanic was the winner of TechCrunch Disrupt SF 2012. YourMechanic app is available in over 2,000 cities across the United States. According to the latest report from SimilarWeb, “The app like Uber for mechanics YourMechanic’s usage ranks is #698 in the business category.” This is what you can see in this image. So, being a startup, if you would like to create an app like Uber for mechanics, then you need to check out top features, which you can’t-miss to integrate during on-demand mechanic apps development. Detailed or complete app user’s profile is the basic app feature and allows app users to easy signups. Provide your app users or car owners an easy way of setting up profiles to book appointments with mechanics, which come to them. Additionally, the detailed user profile is one of the pivotal features, which startups can’t-miss to integrate while developing an app like Uber for mechanics. Well, an easy-to-use signup allows users to quickly signup in an app and can make most of the services. So, a simple user profile feature plays an important role in an app no matter in which category startup is proceeding. Currently, on-demand service is to allow app users to track hired service providers or delivery persons in real-time. So, when it comes to an app under the category on-demand solutions, then one thing is cleared that real-time GPS tracking is must to integrate. Once the user or car owner books mechanic through an app like Uber mechanic, you can allow them to track the mechanic in real-time or live in order to know the current status of a hired mechanic. Well, instead of the taxi booking app, real-time GPS tracking feature is mandatory in the apps, which provide on-demand services. Moreover, such feature also provides convenience to your app users. And, this is what is needed when it comes to on-demand services. In addition, this time-saving feature is all-essential while providing an app like Uber for mechanics, which provide on-demand solutions. The real-time GPS tracking is the basic feature in the on-demand services, however, it is one of the critical ones, too. To become a successful startup or entrepreneur, you can’t afford to miss this feature while developing an app like Uber for mechanics, YourMechanic. One of the core features is to allow app users to schedule mechanic services in advance. 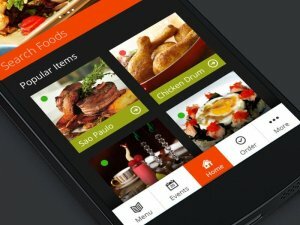 So, such feature is to allow app users to advance booking services on the go. This feature is helpful for allowing users to schedule the services at anytime, anywhere. It is important to consider such feature before developing an app like Uber for mechanics, YourMechanic. Being a startup company, if you have ever thought to build a mechanic on-demand app, then schedule services in advance is highly recommended feature to consider. The next must-have feature is payment integration, allowing users to pay services as per their convenience. In-app payment feature allows app users or car owners to pay through any mode like credit card, debit card and e-wallets like Apple Pay, Google Pay, PayPal, and Samsung Pay. To provide secure payments, it is important to choose the secured payment gateways. While developing an app like Uber for mechanics, it is important to choose a trusted mobile app development company that has expertise in integrating payment gateway like Braintree, HyperPay, Stripe, PayPal, and Adven. So, these things are worth considering during mechanics apps development. Push Notifications: Push notifications feature is also helpful for reminding users when it is time to get scheduled maintenance done. In addition, this is one of the highly recommended features is push notifications. It allows your app users to keep notifying about the updates like when & where the mechanic is reached, reminder notification about scheduled services and offers and discounts. Ratings & Reviews: To finds mechanics nearby, this feature help those app users to select the professional mechanics for them based on ratings and reviews. It is a highly recommended feature, which you can consider while developing an app like Uber for mechanics. Offers & Discounts: Again, to provide your app users a platform, where they can stay longer, offers and discounts feature is the core feature to consider before developing mechanics apps like Uber for mechanics. Convenience: This is one of the important factors, which is behind the on-demand services. So, it is important to consider this important thing to provide convenience to your app users by delivering a slew of basic and essential features in an app like Uber for mechanics. Professional & Insured Car Mechanics: It is important to make sure your app users or customers to provide only professional and insured car mechanics. And, you as a startup need to consider this thing. When you are going to launch the service, you need to ensure your users that they would only get professional, insured and skilled mechanics. Now, you have just gone through the top features by YourMechanic app and other recommended features and things, which you need to consider before developing an app like Uber for mechanics. Being a startup or entrepreneur, if you are having an app idea regarding Uber for mechanics, then you can cross-verify it with us as we are a leading mobile app development company and have already delivered over 3500 mobile apps in diverse mobile app categories. 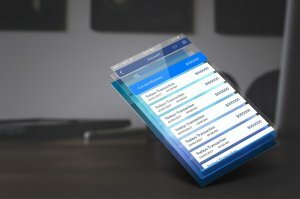 In case, if you still have any query or confusion regarding mechanic apps development, how long does it take to create an app like Uber for mechanics, the cost of making an app like on-demand Uber for mechanics or the cost of development of mobile applications like YourMechanic, then you can discuss it with us through our contact us form. One of our sales representatives will revert to you as soon as possible. The consultation is absolutely free of cost. This page was last edited on April 2nd, 2019, at 9:20.